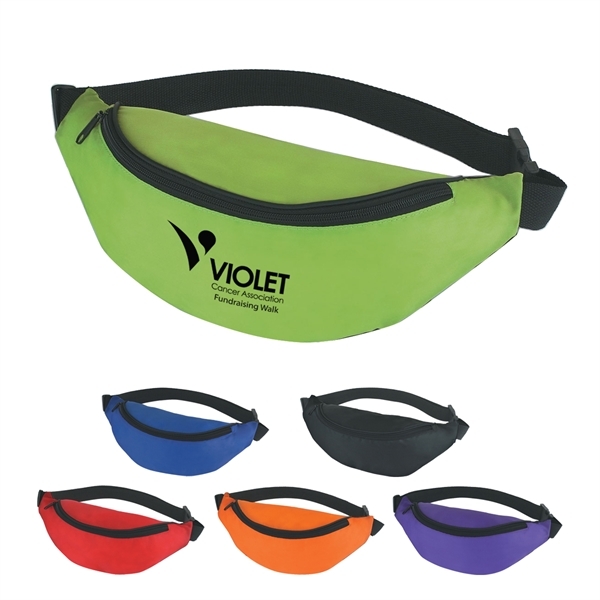 For a hip new promotional gift or incentive to award your customers, look no further than this budget fanny pack! Measuring 14" x 5 1/2" and made of 210-denier polyester, this eye-catching bag has an adjustable waist strap up to 44" to easily and comfortably fit around most body types, and it features a main zippered compartment to store your belongings. It is available in several colors and can be customized with a brand imprint to create a lasting corporate impression. Size: 14 " x 5 1/2 "
Imprint Size:3" x 1 1/2"